One of the wonders of modern life is that there is an App for just about anything you want to do. They are supposed to make life easier and more efficient for the user. And sometimes they even manage to do so, although I suspect that often the greater reward is more to the vendor's side of the ledger than the user's. But it seems to us that the music world has long had a similar tool. Pick an emotion or event -- be it unrequited love, political rage, the joy of being young and stupid, the thrill of surfing, the hit of illicit drugs -- there is a song for that. Yes, there always is a song that helps you own, process or celebrate the moments in your life. And that brings us to the moments where you have screwed up so badly that there is nothing you can say or do to finesse the situation. We're talking epic, relationship ending, job trashing, friendship destroying, reputation deflating faux pas. Is there a song for that? Why yes, thanks for asking, there is. The song is "End Game" by UK trio Johnny Kills. It covers just that situation with as much distortion and bratty vocals as those situations demand. So if you do something soul-crushingly bad, at least you now have a song to help you deal with it. Johnny Kills is Tim Lloyd-Kinnings (guitar/vocals), Lewis Lloy-Kinnings (bass/keys/vocals), and Cameron Gipp (guitar/vocals). Drumming on the record was provided by Fin S. Woolfson. "End Game" is self-released on the band's own Johnny's Killer Records. "End Game" is the third of a trio of summer 2017 songs from the band. Check out "My Shirt Guy Is High" and "Let's Talk About Me" at the Soundcloud link below. I assure you they are worth your time. Some bands lose their edge ten years in, and some just stay in place. And then there are Melbourne's Beaches. Four years after their second album, the fine She Beats, the quintet delivers the magnificent Second of Spring. The album is a generous 17 track layer cake of psychedelic rock, equally impressive for its artistry and technical accomplishment. The songwriting is mature and adventuresome, the melodies and harmonies affecting, and the arrangements textured. The rhythm section is sharp and aggressive. And the guitars? Well, with superb players at lead and two rhythm guitars, the guitars are breathtaking. These ladies can coo in your ear, or whack your chest cavity with heavy riffage. But that isn't enough, so they do both in the same song. The tone of the album reflects the dichotomy of light and dark, with tension and release provoked with every track. Loving this album is easy, leaving it would be hard. Beaches are Ali McCann (rhythm guitar), Alison Bolger (rhythm guitar), Antonia Sellbach (lead guitar), Gill Tucker (bass), and Karla Way (drums). All of the members sing. 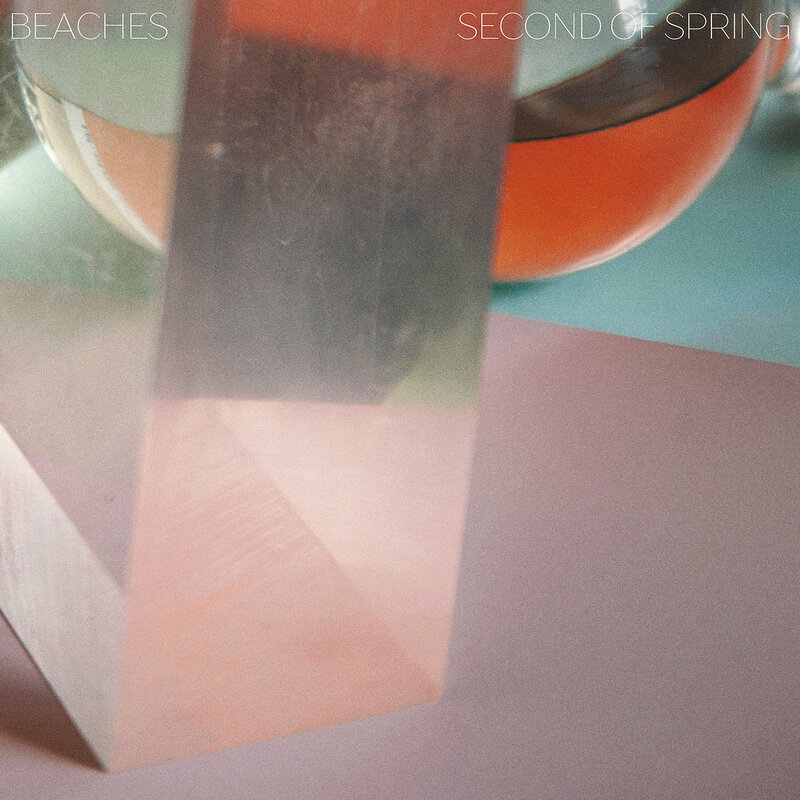 Second of Spring is out September 8 via Chapter Music in double vinyl, CD and digital. I'm not sure the world deserves Acid Tongue, but we have them and won't give them back. And that is final. As we mentioned a few weeks ago (link), the band is having babies. Specifically, they are having Babies, their debut full length record. The LP will be released by Seattle/New York label Freakout Records, and if new song "Humpty Dumpty" is any indication anyone that shares a wall, floor, or ceiling with When You Motor Away World Headquarters better be prepared for nonstop Babies. Acid Tongue's Fall tour schedule is listed at the bottom of the post. Three weeks ago we brought you "Swan's Beat" by David West with Teardrops (link). The song was the first track from the band's October release Cherry On Willow. They now have shared the title track, so we invite you to have a glammy strut down Willow Street with David West and Teardrops. Oh yes, we are looking forward to this album. Unlike many people, I have actually met a moose. They are shockingly large, prone to aggression and a bit odoriferous. So when I am ordered to do something by a moose, I don't take it lightly. Accordingly, when I received a copy of By Order Of The Moose, I dutifully cued it up and pressed play. That simple act of self-preservation had two results. First, I was not attacked by a moose. Second, I experienced one of my more enjoyable listening experiences of the second half of 2017. By The Order Of The Moose is a really, really good album, even if you aren't worried about an attack by the largest member of the deer family. The creation of Welsh psychedelic pop mavens El Goodo, who take their name from a Big Star song, the album reflects the band's appreciation for '60s music. And we mean a broad swath of '60s music. There is surf, sunny beach pop, garage, psychedelic, Baroque pop and British Invasion, and even some spaghetti western flourishes. Oh, we didn't mention the gypsy songs -- we have those too. These guys can harmonize like the Beatles and Beach Boys (and in some tracks, such as album closer "As You Said Your So Longs", they sound like both those bands in the same song), and the production is full and crisp. Perhaps almost as impressive as the individual compositions and performances is that the album is so masterfully done that there is nothing jarring about the different styles. It quite simply is one of the tastiest, most dynamic, musical tapas bistros you can imagine. They say El Goodo, we say 'oh goody'. The band are Elliott Jones (drums/percussion), Jason Jones (guitar/vocals), Pixy Jones (guitar/vocals/keys), Lewie Sewers (guitar), Matthew Young (keys), and Andrew Cann (bass). By Order Of The Moose is out September 8 via Strangetown Records. Go Away EP could be your new favorite record for getting the old heart rate into man/woman-of-action mode. Consisting of four blasts of garage and pop punk with sugary vocals, distorted guitar, elastic band bass and pummeling drums, this is the kind of music that reminds you just why you love indie music. There seems to be a bit of Glasgow's Shop Assistants in the DNA, but with a bit more of the sugar and punk concoction and a bit less of edge-of-the-knife. All in all, we think it is really good stuff. 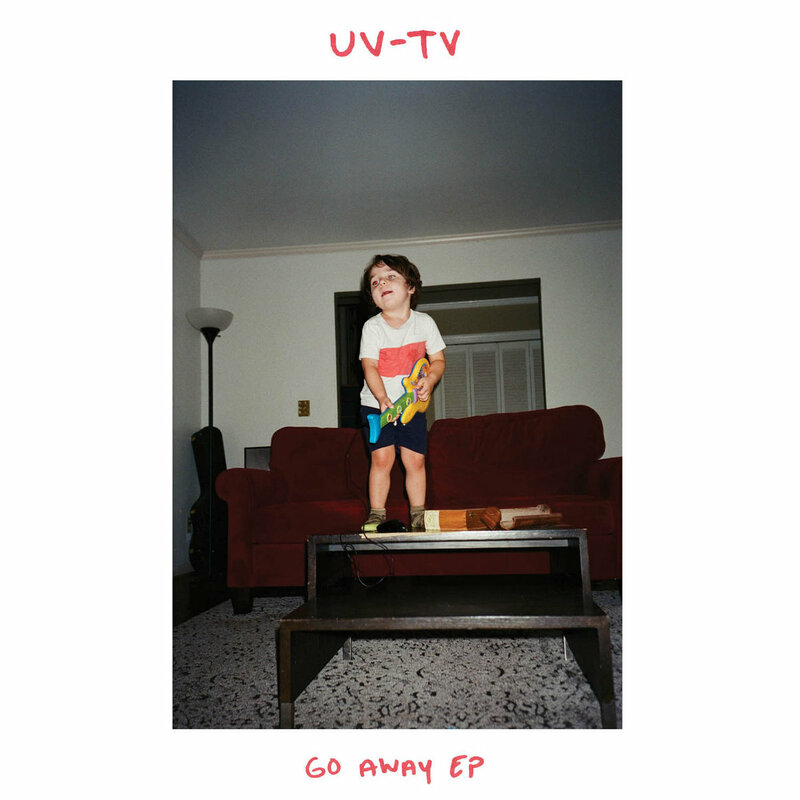 The EP is the handiwork of UV-TV, a trio from Gainesville, Florida consisting of Rose Vastola (bass/vocals), Ian Bernacett (guitar/vocals), and Ryan Hopewell (drums). The record is out now in digital and vinyl formats via Emotional Response Records. Mid week requires a bit of energy, and if that energy carries a twisted love story, all the better for us. So here is "Bullet" -- your introduction to Scottish-born, London-based electro pop duo Love Sick. Slick, propulsive, and oh so sultry, it puts a bounce on your step, and a catchy refrain rattling around your cranium. Happy Wednesday, people! Formerly lending her talents to teenage sensations Avi Buffalo, Rebecca Coleman's next act is Pageants. Originally her solo project, it now is a band with the additions of Devin O'Brien and Dylan Wood. We featured the band in early 2013 (link), but released material has been sparse to date so we lost track. However, earlier this year the band released "Lingr" (see the Bandcamp link below), and now have shared "Chai ( חַי)" in advance of Pageants' debut LP. Dreamy, yearning and upbeat, the song suggests good things for the album. We're about to do it to you again. Yes, it is time to implant a tune in your brain that will rattle around for days. You'll even find snippets of the melody bubbling to the surface from time to time in the coming weeks, and after a moment's reflection you will remember that it is from "Indian Pacific Express", the new song from Brisbane's Wireheads. The song is available as a digital download now, but the really good news is that it is just the first release from the band's upcoming LP, Lightning Ears, which will be available on October 20 via Tenth Court Records. Bandcamp for "Indian Pacific Express"